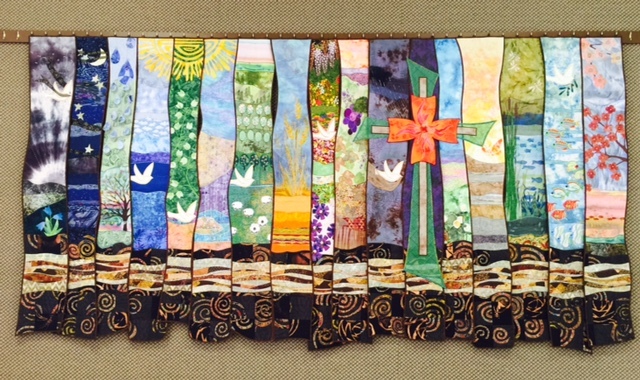 This entry was posted in Art for Sacred Spaces, Traveling in Spirals and tagged art for Christian fellowship, courage, dove, fabric studio, process, St. Stephen's Episcopal Church Beaumont TX, textile mural, three layered cross, Trinity by norma17. Bookmark the permalink. This is a spectacular piece of work. We hope it is well loved by the church family. Thank you, Elizabeth. I am hoping that they will find plenty to see and contemplate as they live with it. It was a joy to make.